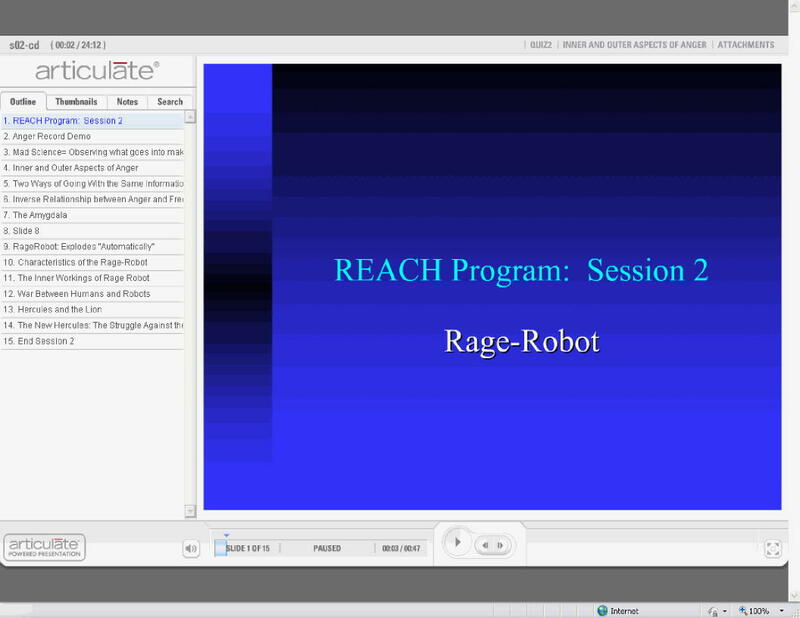 This session introduces the Rage Robot, which represents a common view that anger is caused by my "buttons" being pushed by the actions of others. When I adopt this view, I see my freedom as very limited, because I don't have control over what others do. In contrast to this view is the idea that anger is a choice, something that I can build or not build in response to what others do. stronger, unless I get myself on the weights and machines. Go back and read the section entitled Mad Science for specific tips on filling out the anger record, if you have not done so. Keep it up--every day! Change Presentation. This is a review of the Anger Record from last week. Inner and Outer Events: a multimedia training module about what causes anger. 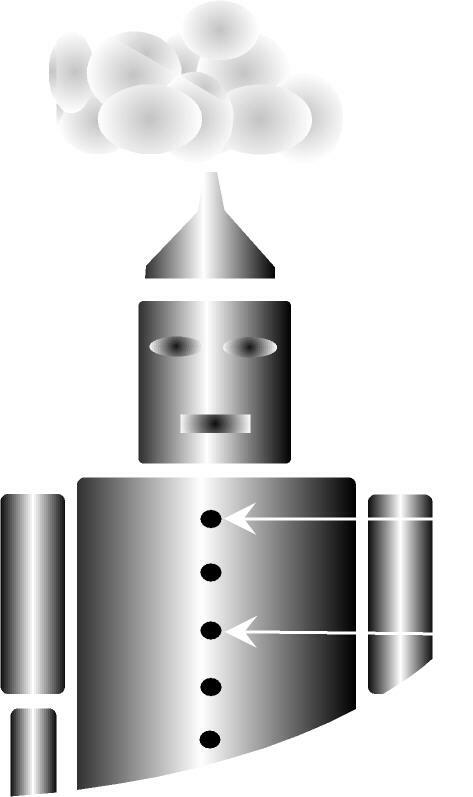 Emotional Robot, a reading selection elaborating on the ideas discussed here.